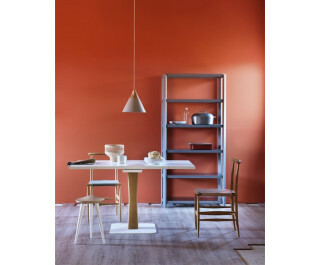 Bistro table extendable particularly suitable for use in cooking. Black or white metal plate. Frame in oak, walnut or white lacquer, black, red, silk gray or gray powder. veneered in natural oak, saw cut, heat-treated oak, walnut or lacquered in white, black, red, gray silk or gray powder.